If you are simply price shopping, I am not the lowest price around, and I am okay with that. If experience and a proven track record matter to you, then you’re at the right place. Still not sure? My How-To videos and Before and After photos will demonstrate what’s possible for you. 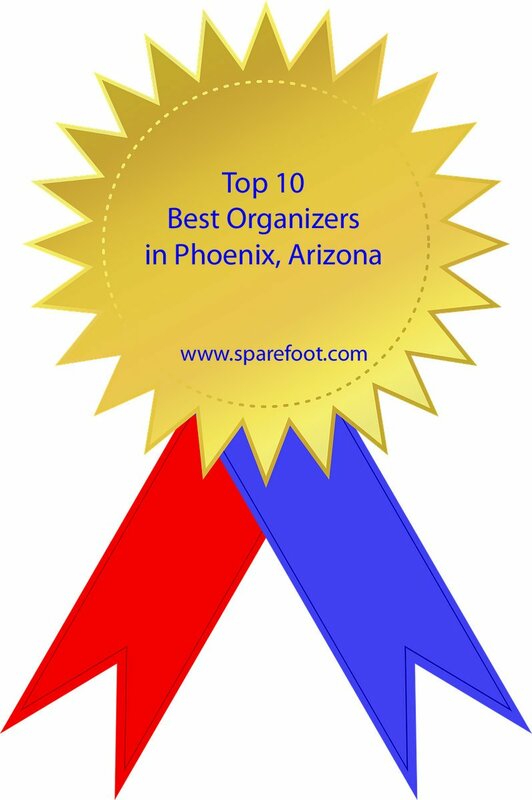 Work with the best Professional Organizer in Arizona, by clicking here or by calling (480) 382-1085. For residential clients, this is the best option for large closets, kitchens, processing accumulated clutter, piles of paperwork, and home offices. For corporate clients, this package is a starting point for office overhauls and streamlining administrative processes. If you need more than 8 hours, no problem. You just move into another package. This package is ideal for tackling medium-sized projects. For residential clients, it is ideal for small to medium closet purging and organizing; pantries; some paper processing; purging toys and children’s clothing. For corporate clients, this package is great for separating and processing minor paper accumulation and setting up filing systems and implementing organized office systems. Here is the perfect option for residential clients who have a small organizing project or may just need some hands-on support. For corporate clients, this package is great for 1-on-1 work or a training a small number of employees on workflow, systems, and time management. This is a super option for residential clients or a DIY-er who needs a quick helping hand and a map for navigation. For corporate clients, this is perfect for someone who needs some hands-on organizing for themselves or an employee. This package offers the opportunity to work with a Professional Organizer who will help you gather up important documentation for estate planning purposes. Includes a complimentary copy of Andrea’s An Organized Plan booklet. Available to current or former clients only. Receive maintenance support with a monthly visit of two hours. One space / One month for only $120 (4-week program) In one month, you will be coached to organize one space or one room. This includes an initial 30 minute virtual consultation, a high-level written Action Plan, three scheduled 20 minute coaching calls over the next three weeks. Email and text support for the duration of the project. Multi-space / At your pace for only $267 (6 to 12-week program) Work at your own pace with a six to 12 week plan. Program includes a 60 minute initial virtual consultation, a high-level written Action Plan, plus five scheduled 30 minute weekly or bi-weekly coaching calls. Email and text support for the duration of the project. For those interested in becoming a Professional Organizer or for established organizers who wish to take their business to the next level. Schedule your complimentary first session by clicking here. Use Promo code PO Coaching.